2,200 ANSI lumens Bright and clear images in any class room or conference room. Long Life Lamp* Another key to low total cost of ownership is a long life lamp. The CP-RX80 lamp is rated at 3,000 hours in standard mode and 6,000 hours in eco mode. Power Saving Mode The Saving mode reduces the stand-by power consumption to 5W with limitation of some features. Template Function Line templates in the projector menu can help when writing on a whiteboard. There are four types of line templates to choose from. Exclusive to Hitachi. White Board Mode Limits the peak white by changing the gamma curve limiting its brightness when used with a whiteboard to protect the eye health of teachers and students. Exclusive to Hitachi. 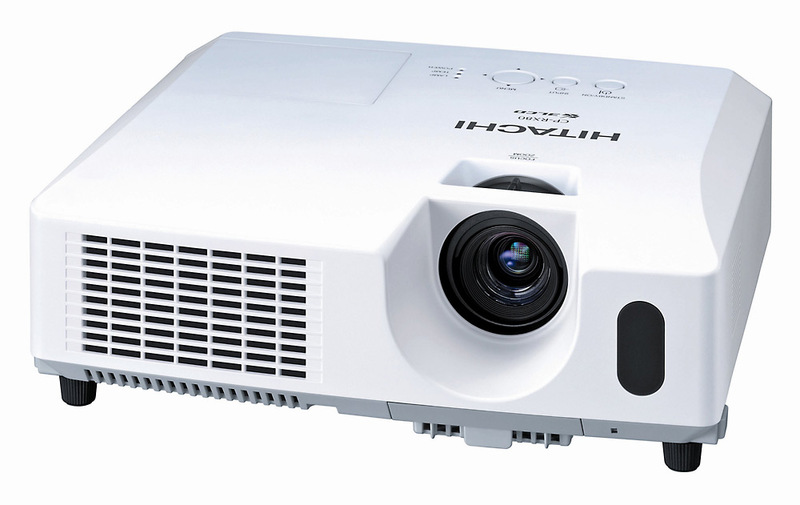 The Hitachi CP-RX80 is a Short Throw Projector that features 2,200 ANSI lumens and 500:1 contrast ratio. The hitachi cp-rx80 projector also features a power saving mode which reduces the stand-by power consumption to 5 Watts.